For the second day of thinking about Brunch Ideas for Kids for Week 1 of BM#64, I felt nothing meets the nod more than these Pizza Parathas. This is your typical fusion dish that one ends up making having kids at home. They end up demanding always for interesting dishes. Nothing of the regular ever interests them and you have to be constantly on your toes to think of something interesting. With my kids especially, anything that is C interests them, in no pressing order it is cheese, chocolate, cakes. Depending on which one was given more, their choice changes. So the Cheese topped Pizzas are their favorite too! 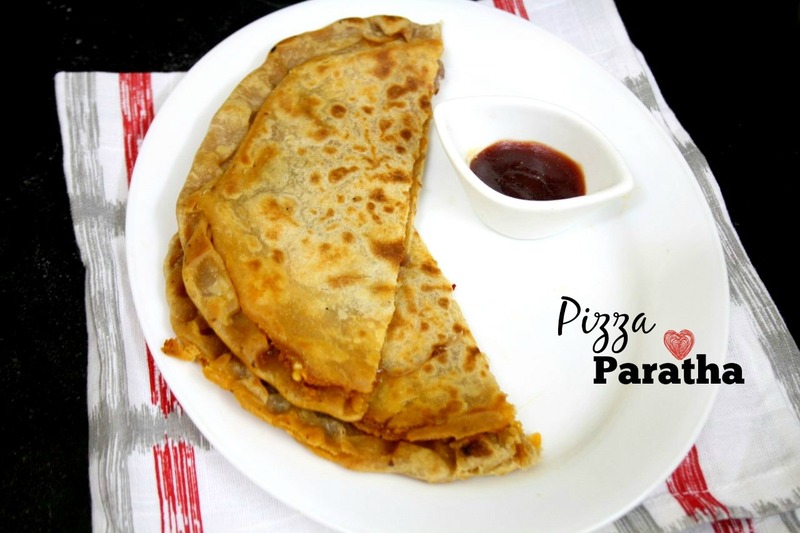 So when I was thinking of what else would interest my kids on a Saturday brunch, I felt these Pizza parathas will be a classic one. I have a chapati based pizza done long back with leftover chapatis, this time, I wanted to do something different with paneer. The idea was inspired by this and I used my own to suit my kids' taste. You can do different shapes like calzones, I used two layers to stuff and making these parathas. 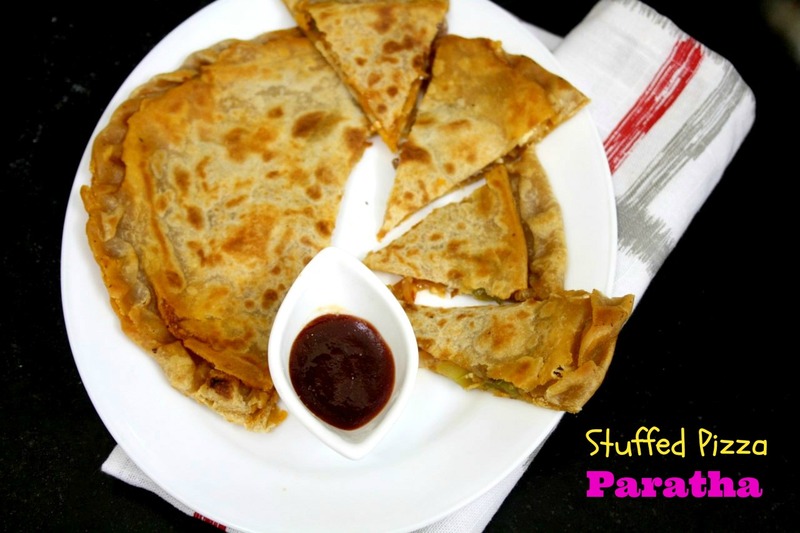 Sending this to Priya Srinivasan who is hosting my Kid's Delight, themed on Brunch Ideas for Kids. 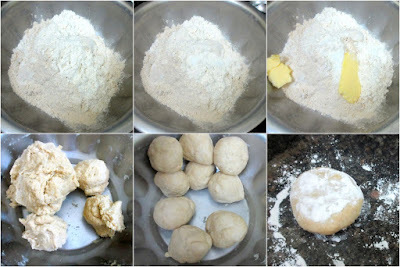 Take all the ingredients listed and knead to a soft dough. Let it rest for 15 mins. Grate cheese and keep it aside. 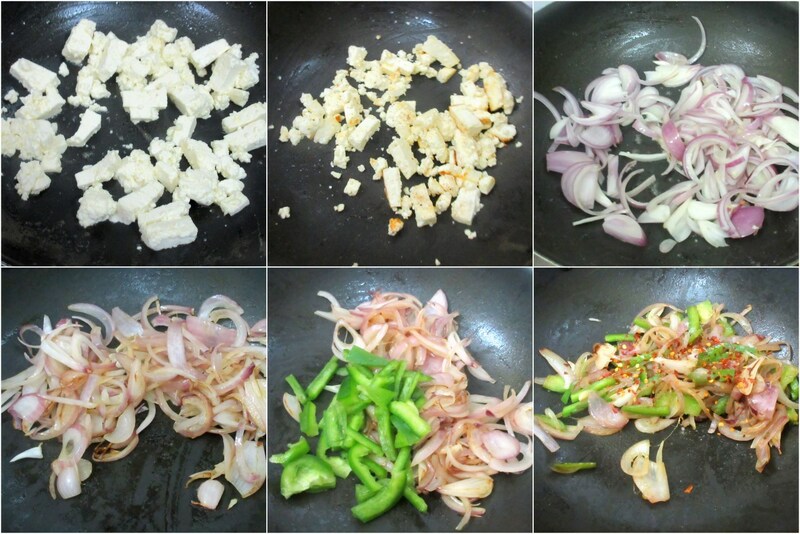 In a nonstick pan, heat olive oil, saute the onions and capsicum till done. Add salt and red chili flakes, adjust seasoning. 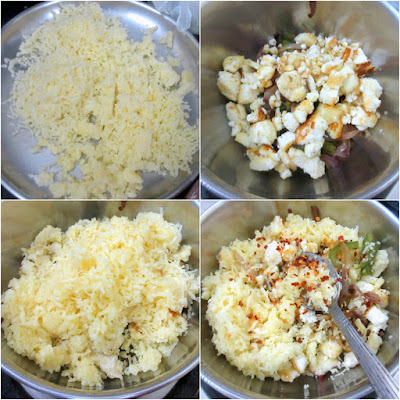 Let it cool and then mix in the grated cheese. 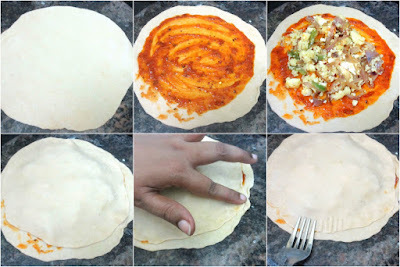 To make the Pizza Paratha. Spread the pizza sauce in the center, top it with the stuffings, season with Italian seasoning. Roll out another ball into a smaller diameter, now place this one exactly covering the stuffing. Seal the ends with fork pressed down, and you can twist the ends to ensure it is sealed firmly. Heat a nonstick pan, grease with oil. 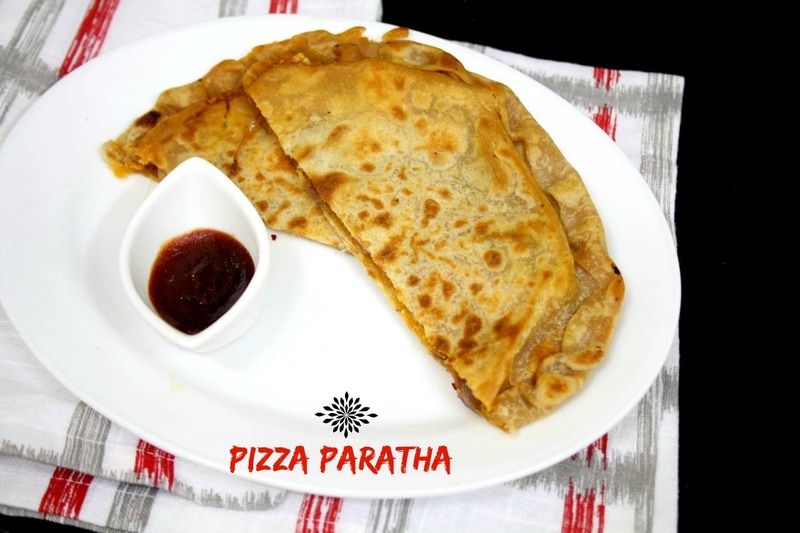 Cook these stuffed pizza paratha on both sides. Serve sliced to smaller bites with sauce or as such!